Eero Saarinen was the preeminent architect in 20th century modern design. Born in 1910, he immigrated to the United States from Finland when he was 13-years-old. Saarinen created masterpieces inspired by exploration and expansion. In 1947, he entered the design contest for a monument that would honor Thomas Jefferson and St. Louis’ role in the westward expansion of the United States. 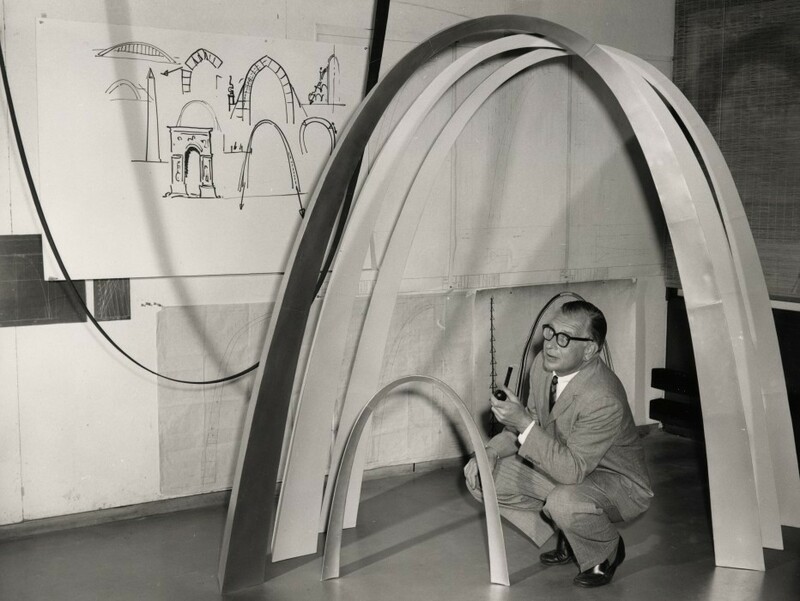 In February 1948, Saarinen’s design for a stainless-steel Arch was unanimously chosen. His timeless design fulfilled Luther Ely Smith’s vision for the riverfront memorial and continues to represent St. Louis’ advancement in the 21st century. The Eero Saarinen Society (ESS) is named in honor of Eero Saarinen as a way to acknowledge those making annual leadership gifts of $1,000 or above to support the Gateway Arch Park Foundation mission. Prefer to stretch your gift throughout the year? Monthly giving is an option for all Eero Saarinen Society membership levels. Please click here to donate monthly and enjoy all of the same great benefits. Corporate membership reinforces your ongoing commitment and dedication to this St. Louis icon and the role that the Gateway Arch Park Foundation has in its future. 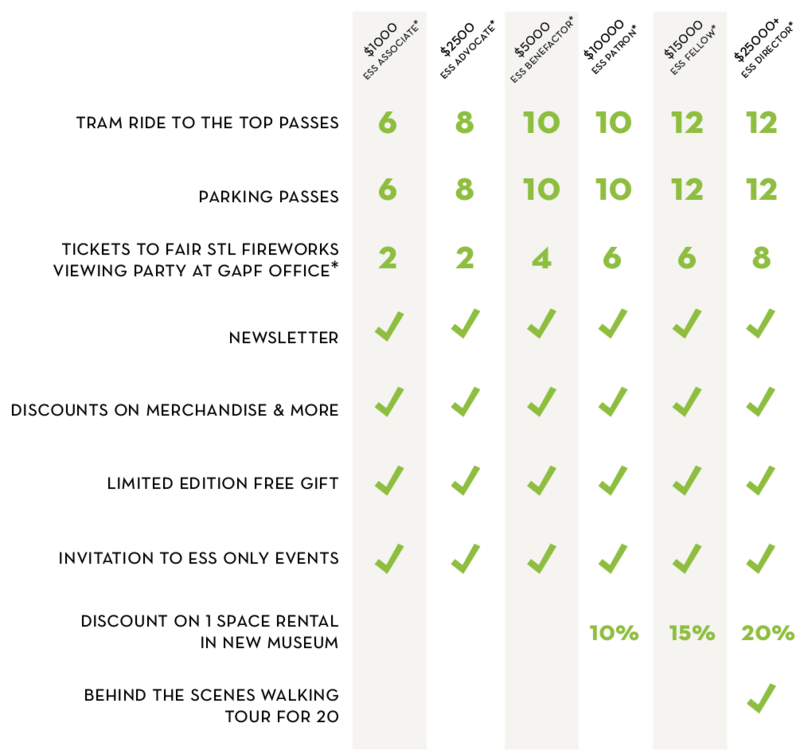 Corporate membership begins at $1,500 and includes many great benefits. Find out more here. 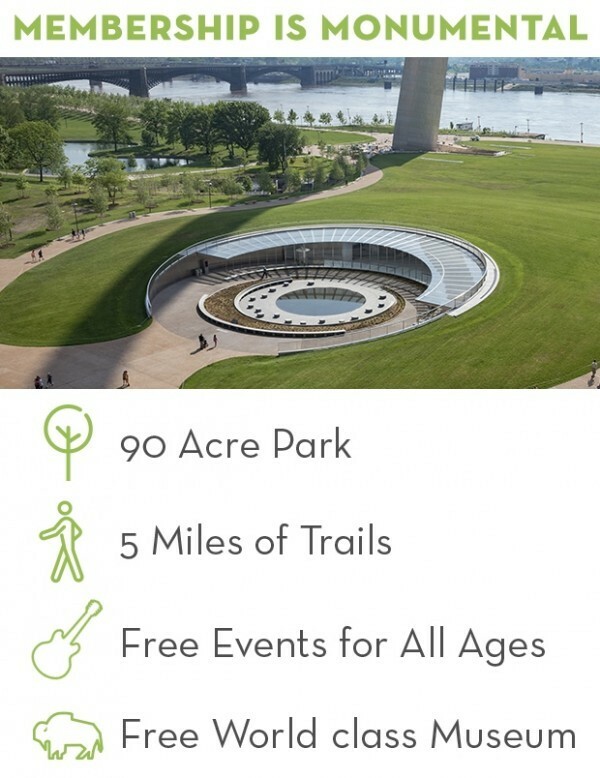 Want to help support the Gateway Arch Park Foundation’s mission? Visit www.archpark.org/support/membership to learn more about membership benefits. Individual membership begins at $50. Corporate membership begins at $1500. Cynthia and Walter Metcalfe, Jr.
Mimi and James Murphy, Jr.